Spring Break finally! As excited as we are to have some time off with the kids, sometimes it can be stressful entertaining them. We've got this week's picks and there's a lot to do. Hopefully you've got a few days off to enjoy with your kids kids but if not, there are some evening events in there too. 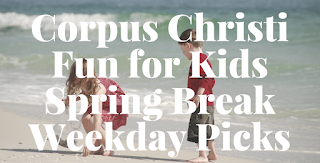 You can also check out our 2017 Spring Break activities and camps guide with ideas for places and things to do. Compiling information is hard work, please link back to this site if using this information on your events calendar. Make sure to follow the Facebook page because we are always posting events as they come up. Some events require registration and always check with the check with the business or organization for the most accurate information. Did we forget something? Let us know! Watch the movie that started it all. Cost: Tickets start at $1. Buy online. Meet near the new fishing pier for an introduction to kayaking program. 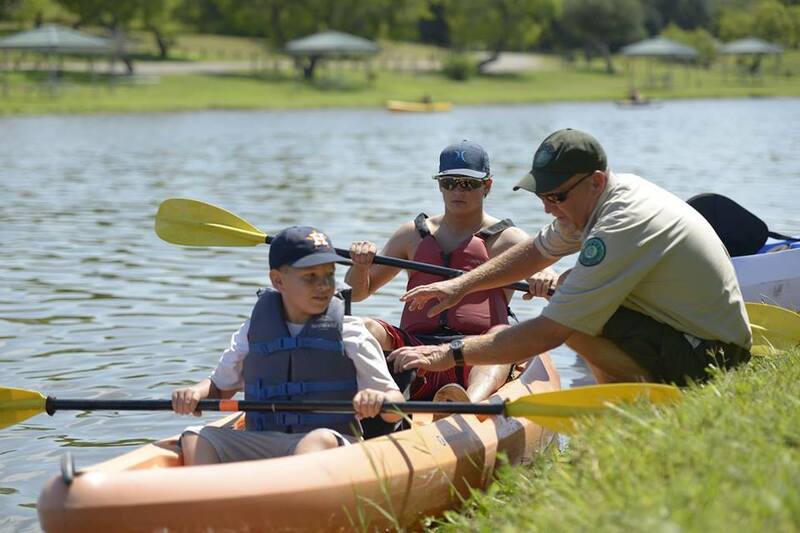 Kayaks and lifejackets are provided and are perfect for beginners! Children under 13 should be accompanied by an adult. Catch the original animated movie before you see the live-action version! Your kids will play games and create a craft. Fun for the entire family. Bring your pet for a pic with the Easter Bunny! Pet Nights benefit deserving pet charities in the Coastal Bend, including: Gulf Coast Humane Society, The Cattery Cat Shelter, Mission Pawsible Animal Assistance, For The Love Of Strays, and Kanines & Kitties Corpus Christi. Hope to see you all there with your furry loved ones! 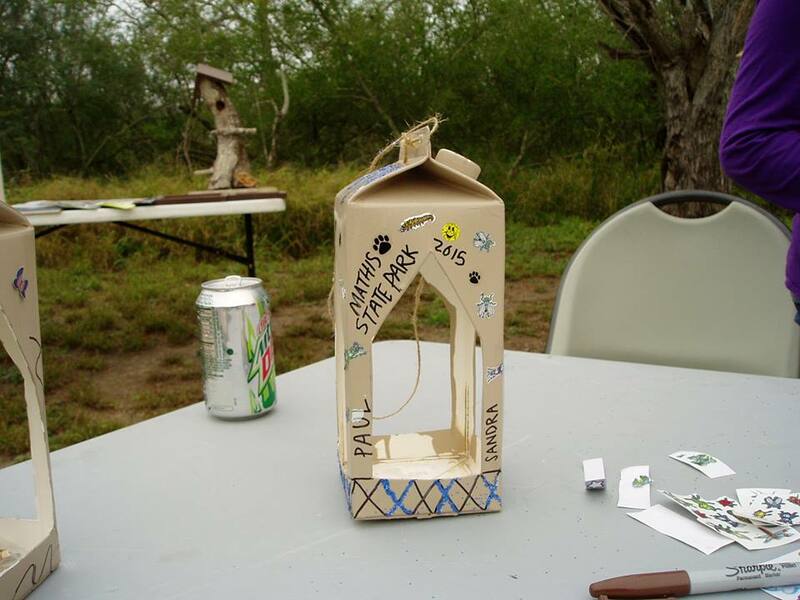 Take a stroll out to the birding area and join our Park Rangers for a chance to decorate your very own bird feeder! 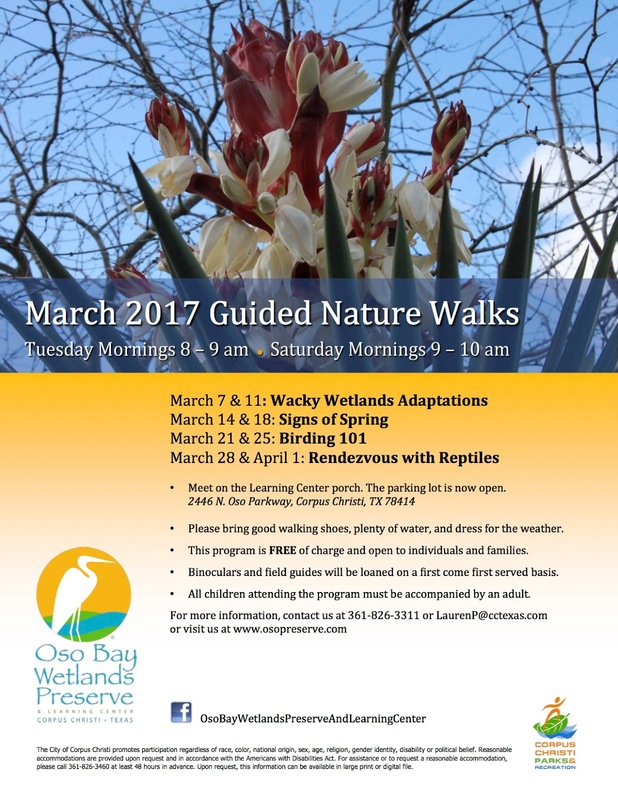 Bring your binoculars and enjoy some birding along the way or on the nearby Longhorn Trail. Feeders available while supplies last. Joins us game day fun. Texas Sea Life Center will host a meet & greet with a Diamondback Terrapin, Peregrine Falcon, Red-tailed Boa, African Side-necked Turtle and a Black Throat Monitor! Cost: All-Day General Admission - $26.99, All-Day Child/Senior Admission- $19.99. FBCC Nutritionist will be hosting a for kids ages 8 - 11 yrs old. Cost: Free (advance registration required. 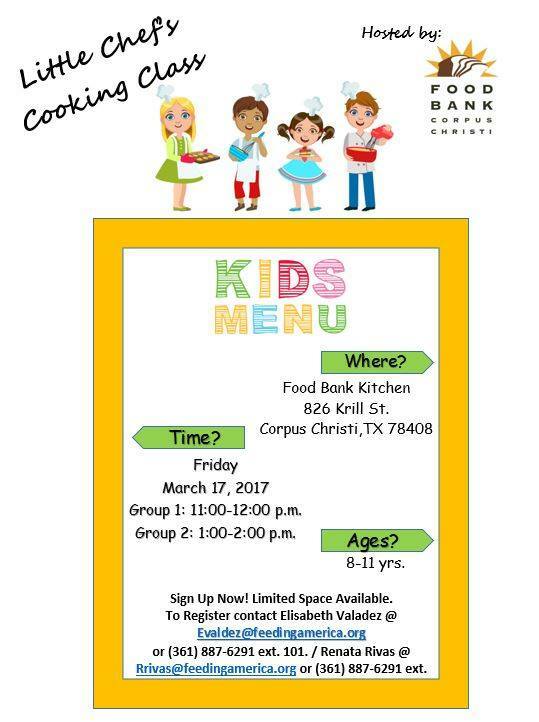 Call Elizabeth Valadez at 361-887-6291 x 101 or email or email Renata Rivas). Join us for a “Hi Tech” Scavenger Hunt for all ages and learn how you can geocache anywhere! Meet at the Old HQ Pavilion “Castle”. 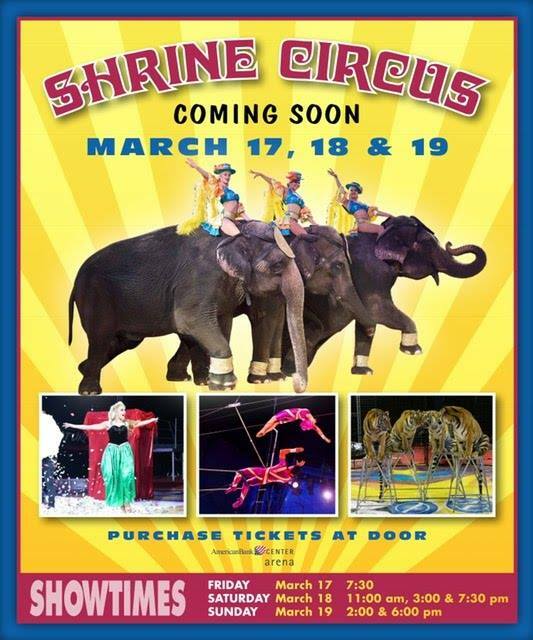 The Al Amin Shrine Circus is offering showcase performance for Schlitterbahn Riverpark Corpus Christi guests! Also, each guest will be provided with a 50% off coupon for admission into the Al Amin Shrine Circus. There will be 3 realms of gaming: Physical/ Tactile/ Video Games! 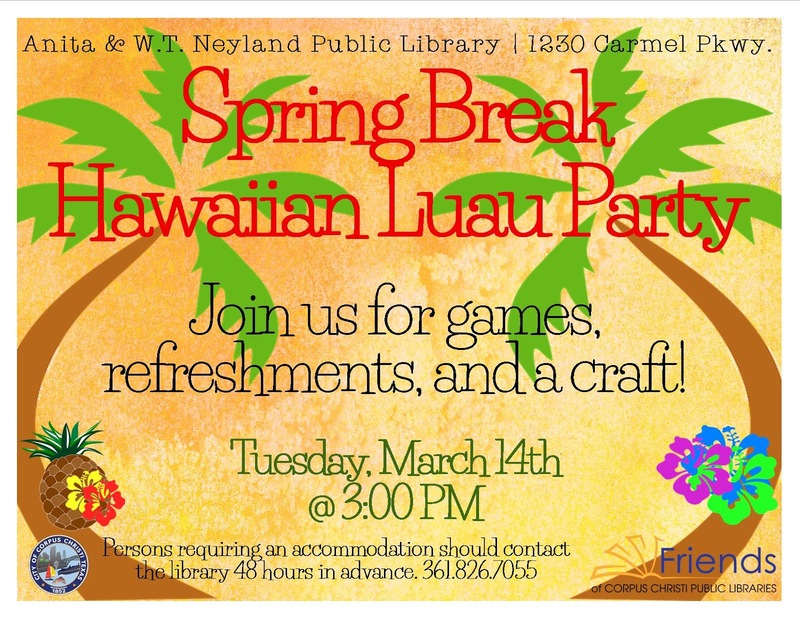 Come play laser tag, archery tag, bubble soccer, field sports, run an obstacle course and more in the physical arena! 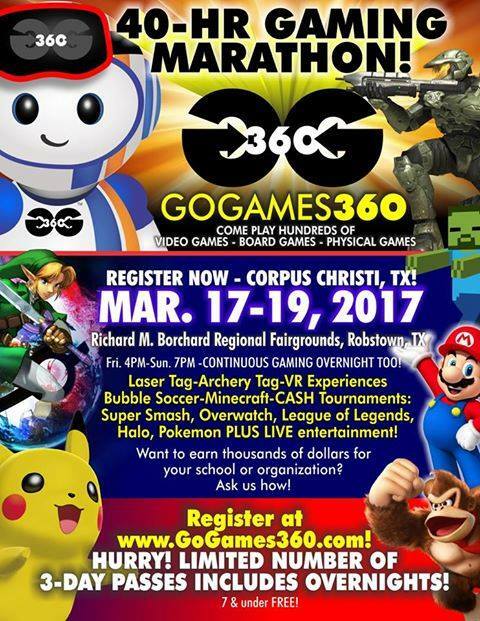 Next jump into the board gaming arena for tournaments, Pokemon video/ TCG, Catan, Magic the Gathering, and more! Get crazy in the video game arena with all you favorite consoles Xbox, Playstation, and WiiU! Win prizes and cash in the tournament arena. Visit website for full schedule. Cost: Friday admission is $10 for 8 and up, 7 and younger free, multi-day passes available. Buy online. Over 20 bands and Celtic dance groups and 40+ food trucks and vendors spread out over the four blocks. Enchanting elephants, tantalizing tigers, and amazing acrobats prepare to dazzle and astound. Cost: Admission $20 for adults, $14 kids 2-12 (plus fees). Buy at box office or online.